Your computer comes with a monitor, keyboard, and mouse. You should connect these before turning on the computer. Your computer will offer several types of connection ports (slots in the computer that allow you to connect other devices), with USB ports being the most common. For example, wireless keyboards and mice connect to your computer via a small receiver that you insert into a USB port. Wired keyboards and mice plug into your computer using a USB cable. 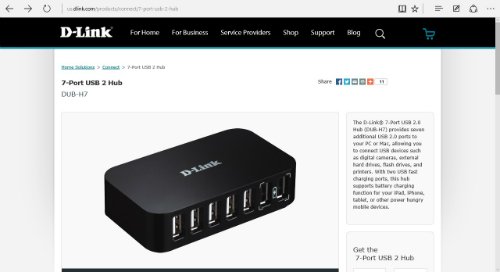 If your computer does not have enough USB ports, you can use a USB hub (shown in the figure) which will allow you to plug extra peripheral devices into one USB port on your computer. The setup information provided by your computer’s manufacturer should help you get things connected. Use the following table to identify the function of device-to-PC connector ports. HDMI (High Definition Multimedia Interface) port Connect your TV to your computer. Parallel port Connect a non-USB printer. Audio port Connect external speakers, headphone, or microphones. Ethernet port Connect an Internet modem or router to your computer.